by richardelliott	Posted in	Face, Skin	on 19/03/2019 . Red itchy skin can be a very embarrassing problem for a lot of people, especially when their face is affected. If you’ve experienced this issue, you know how annoying it can be, especially when you have to go out and about your daily life and are worried about what other people are thinking. In addition, skin redness can be uncomfortable, which adds a further layer of frustration to the problem. Take a look at the most common causes of skin redness and what you can do to fix it, especially when it comes to applying a good skincare treatment. Everyone is different, so it stands to reason that there is more than one cause of skin redness as well. Some are because of medical conditions, such as eczema or rosacea, while others are because of your skin type or skincare routine. For example, if you over-exfoliate, your complexion may become red and itchy, as well as tight, sore and sensitive – after all, while exfoliation can give your skin a more youthful and glowing look, upsetting this delicate balance will lead to skin inflammation. In addition, if you’re overusing retinoids (vitamin A derivatives), your skin may become irritated. It’s better to start with lower concentrations of this substance and slowly build up your tolerance. Another reason for skin redness is taking hot showers or baths, which cause facial flushing and dryness. Try to find out why your complexion is reddish and dry, as that will then help you to implement a skincare routine that will solve the issue. Getting rid of skin redness may be easier than you think! If your complexion is in dire need for a pick-me-up, the Dr Barbara Sturm Calming Serum should be your product of choice. Specially formulated to suppress skin irritation, this plant-based serum will minimise sensitivity, strengthen your skin’s natural defences, rebalance and calm your complexion and reduce redness and irritation. The active ingredient in Dr Barbara Sturm’s range is purslane, which activates the skin’s anti-oxidant system and protects against free radical attacks. It’s also great to balance your skin after it’s been exposed to sunlight or a polluted environment. Another great option to calm your skin is the Swisscode Pure Vitamin F Forte. This is a nourishing serum which replenishes moisture in dry, dehydrated skin, help you to get rid of redness. The high concentration of Omega-6 fatty acid in this product will restore your skin’s natural lipid barrier and moisturise without clogging any pores. The end result? A clearer, smoother and more hydrated complexion you will fall in love with. 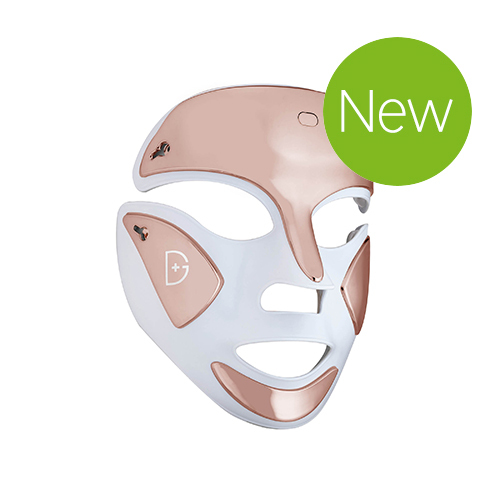 Because we understand that every case is unique and you may prefer something a little different, our Dr Dennis Gross Spectralite Faceware Pro is a fantastic way to achieve smoother, glowing skin. In just three minutes, this LED device smooths wrinkles and targets acne-causing bacteria; the therapeutic red and blue light will improve the appearance of your wrinkles in as early as a fortnight, and the appearance of acne within just a few days. This mask will also reduce sun spots, sun damage and skin redness, as well as inflammation, and will even your skin tone and texture. If your skin is sensitive and prone to redness due to inflammatory conditions, the SkinCeuticals Redness Neutralizer is for you. This lightweight gel-cream has been formulated to hydrate the skin and reinforce its barrier function, leading to an improvement in facial redness. This innovative product is a combination of biometric neuropeptides and natural actives and contributes to a reduction in inflammation, which is one of the main causes of redness and flushing. The temperature of your skin will also be reduced while the ingredients in this cream soothe and comfort your complexion. Say goodbye to skin redness and flushing and watch as your skin becomes more radiant and youthful-looking. Everyone hates dry skin, especially when you’re trying everything under the sun and it’s still taking a long time for your complexion to become smooth once again. With the SkinCeuticals Phyto Corrective Serum, you won’t have that problem. Just by applying a few drops to the affected area twice a day, you’ll notice a significant reduction in dryness and redness. The Hyaluronic acid, cucumber, thyme and other plant-based ingredients that make up this serum are perfect to moisturise your complexion, especially if you suffer from sensitive or acne-prone skin. 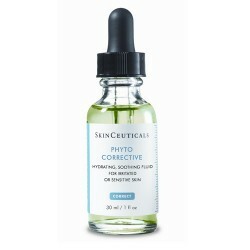 This oil and paraben-free product is ideal for irritated skin with hyperpigmentation, ensuring your tone evens out. Your skincare routine should include products that help calm your complexion and restore natural radiance. Our SkinCeuticals Phyto Corrective Masque is an intensive mask designed to soothe and replenish temporary skin reactivity and is ideal for daily use, be it after a workout or after sun exposure. Because it’s an oil-free product, you don’t have to worry about oily skin. Instead, you’ll get to enjoy a deeply hydrated skin that has been cooled and calmed, relieving and preventing tightness and sensitivity. For a product that hydrates, soothes and reduces the appearance of skin blemishes at the same time, the IS Clinical Hydra Cool Serum is the perfect choice. Formulated with rejuvenation and hydration in mind, this refreshing and powerful serum has been designed for all ages and skin types, including the most sensitive ones. Your skin will be protected against dryness and irritation and will help to correct sunburned or blemished complexions. This serum is also great for men to use after shaving, since it helps revitalise compromised skin. These products will work wonders but remember that having a good skincare routine in place is essential. Avoid taking really hot showers or baths and exfoliate sparingly, and don’t forget to keep your skin hydrated and moisturised at all times. At Skinstation, we have many years of experience dealing with skin redness, so please don’t hesitate to get in touch – we are more than happy to help you choose the right products for you and your skin.